Pound for pound, Just Blaze is one of the best producers ever. 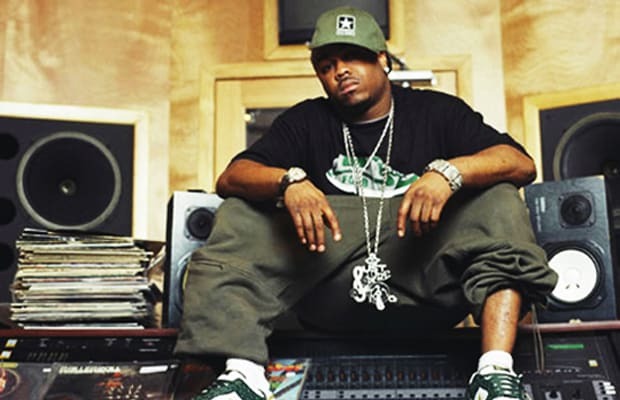 The Paterson, New Jersey native worked his way from being an intern at The Cutting Room studios in New York City to crafting the sound for Roc-A-Fella records. After spending a few years in the late '90s/early 2000s building his buzz (and his skill set) he became a star after producing a bulk of Jay-Z's The Blueprint alongside Kanye West in 2001. Since then he's been blessing us with bangers on the regular. We got down with the man born Justin Smith to talk about his impressive catalog. In part one of our two part series, we focused on his lesser known records. Instead of exclusively talking about his best known records, we talked about how he got in the game and the beats he made along the way to making The Blueprint. Blaze told us about how Big Pun gave him thousands of dollars of eqipment for free, how one of his most beloved records has a huge mistake on it, and the time Jay-Z told him he was the best producer in the game.